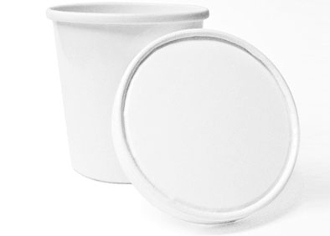 Quart 32 oz paper to go containers are perfect for ice cream, frozen yogurt, and gelato. The pint size 32oz to go containers are perfect for pre packaging ice cream and having product ready to go. Packed 250 paper containers with 250 paper lids.